Why settle for speed or comfort when you can have both? An ideal combination of versatility and luxury, the 275 Express is the perfect escape for days consumed by watersports and nights spent sipping cocktails and watching the sunset. 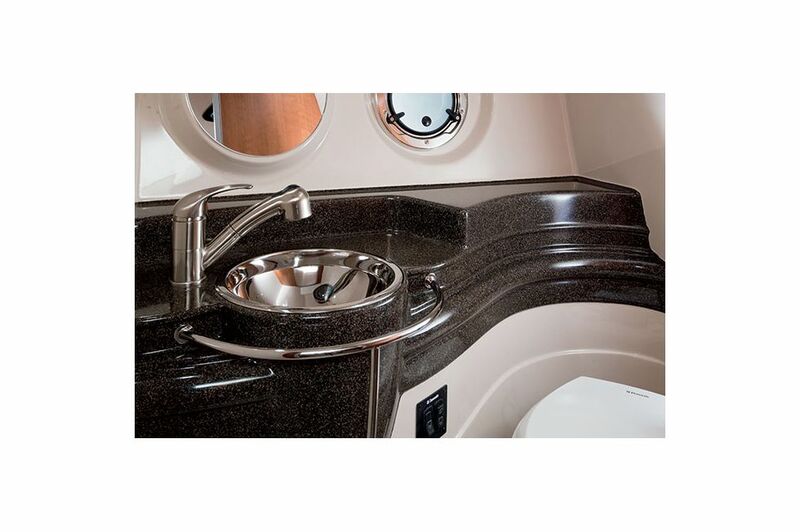 Entertaining is made easy with spacious below-deck amenities, including a wet bar and plush seating, along with a convertible sleeper in the aft cabin. 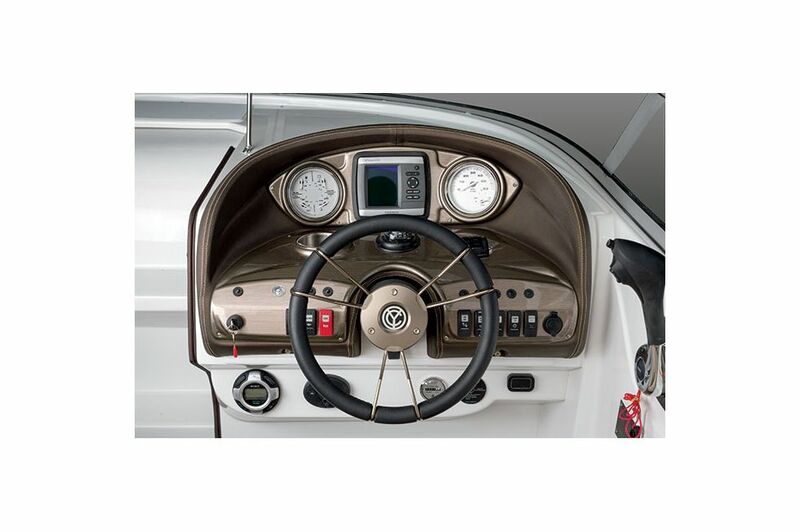 The intuitive helm was designed to get you where you're going, whether you're towing skiers and wakeboarders or even if you have nowhere special in mind. It's always good be the Captain of the ship, but it's never been this comfortable. 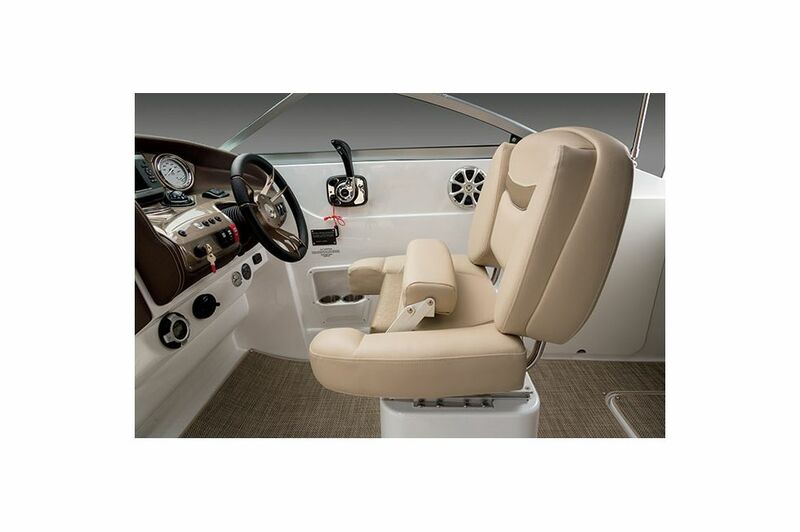 The 275 Express' Captain's Seat ensures you'll stay comfortable all day on the water. 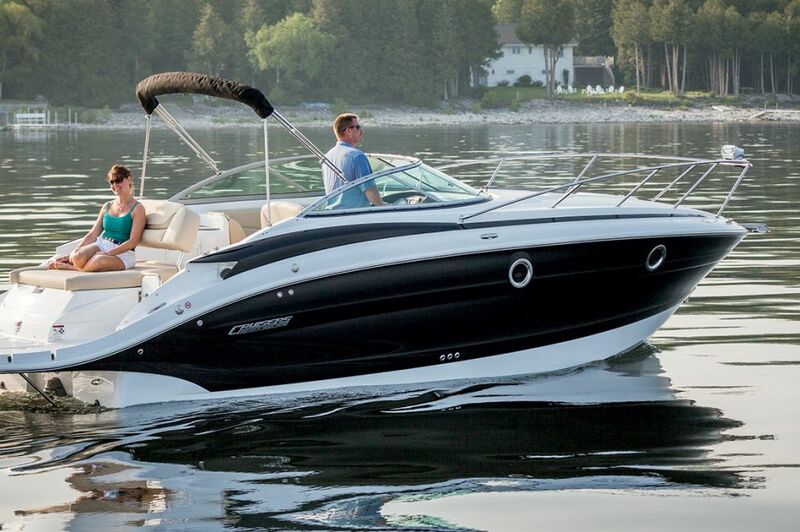 Settle in for a few drinks or some great conversation with guests in the 275 Express' cabin area. Get cozy on the plush seating around the convertible table or add an extra sectional for an extra sleeping space. Sometimes the best way to enjoy your boat is by jumping off of it into the water! 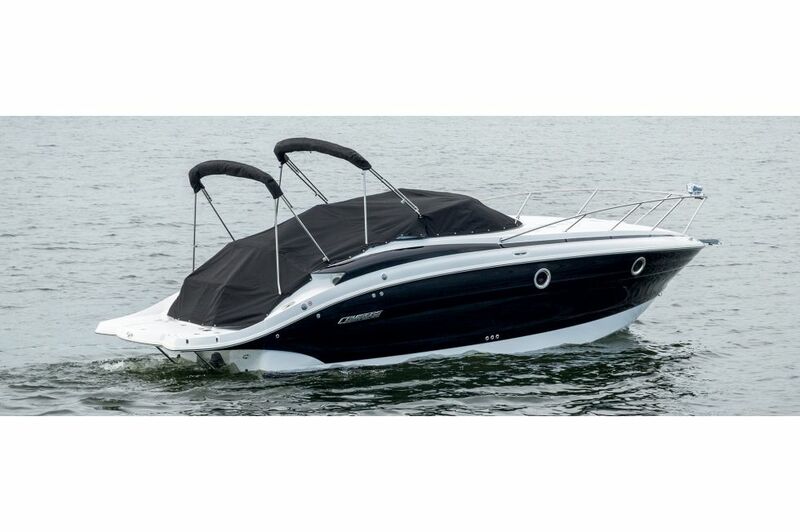 The 275 Express comes equipped with an easy-access swim platform on the back. It's easy to spend the entire day (or days!) 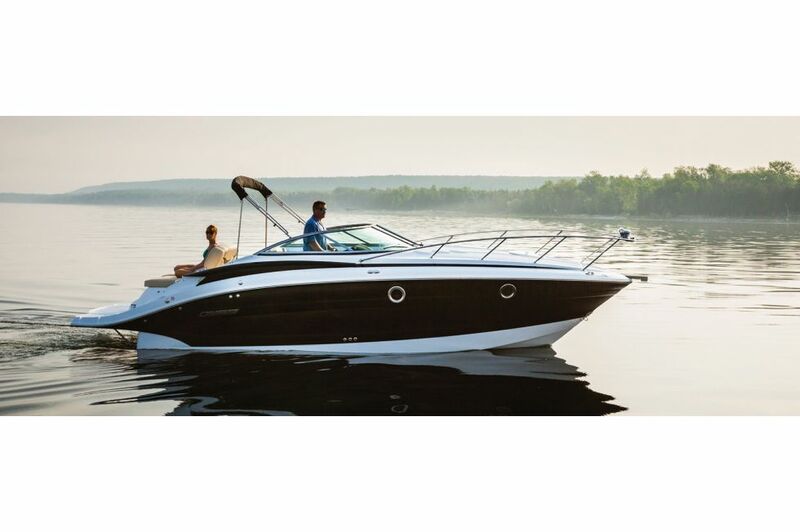 on the water with the 275 Express, as it comes with a spacious head including toilet and sink. 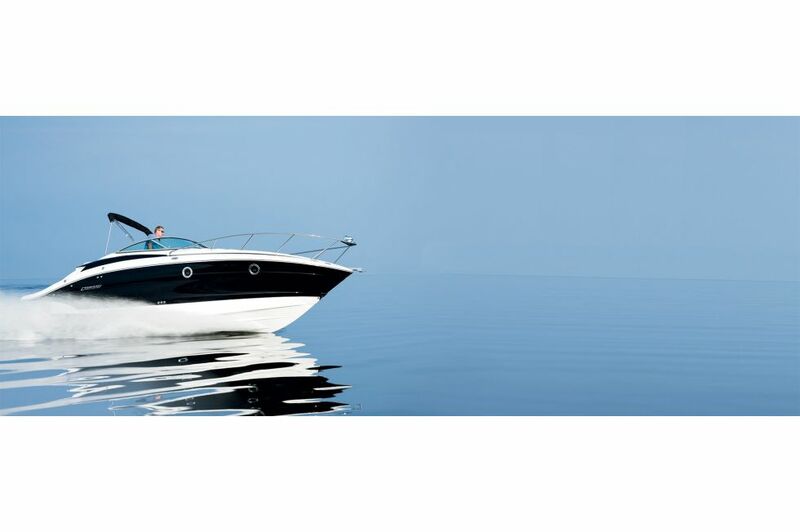 Take a minute for yourself in the 275's aft berth. It's the perfect place to catch a nap while natural light pours in from through the window. Enjoy the sun and sea air while relaxing on the convertible sun pad, engineered specifically for your comfort.